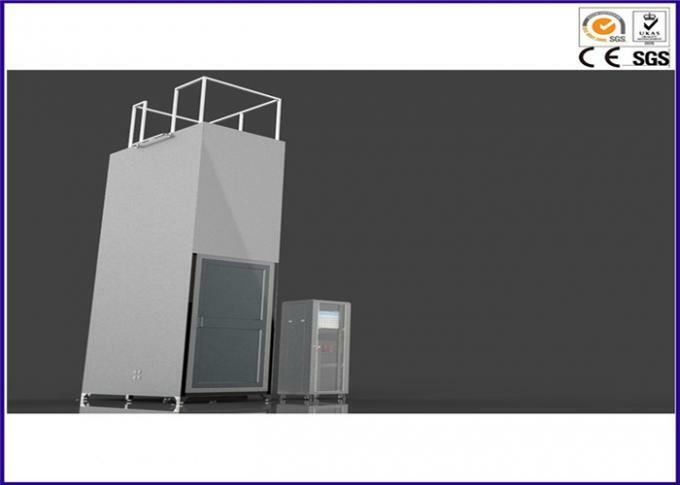 Bunched Cable Vertical Flame Spread Tester in accordance with the relevant provisions of UL1685, GB18380.3 standardwire and cable burning test requirements designed equipment. And in accordancewith IEC 60332-3-10, KS C IEC 60332-3-21 ~ 25 (A ~ Class D) standard. Bunched Cable Vertical Flame Spread Tester is used to bundle cable orfiber optic cable to detect vertically mounted under specified conditions forvertical flame spread inhibiting the ability of the instrument, the power cables,control cables, fiber optic cable bundle burning test Preparation means. Whengiven a certain amount of housing supply of gas and the use of standardignition source of ignition, this instrument can be used to test for vertical flame vertical diffusion to electric cables and wires of state.In addition, if the tester burner adjustment of 20 degrees can be achieved byIEEE 383 (IEEE 1202) testing standards. Equipment can be equipped with heatrelease instrument configure the port, with the gas analyzer can measure thethermal power values such as HRR (heat release rate), SPR (smoke generationrate) and so on. 1. Stainlesssteel test box the size of 1,000 ± 100 (W) x 2,000 ± 100 (D) x 4,000 ± 100 (H)mm. Interior surface of the case than the high ground, and the rear sidecovered with insulation material. 5. In the lower part of the cabinet,from a position in front of the housing 150 ± 10mm has a 800 ± 20 (W) × 400 ±10 (D) of the air intake. 7. 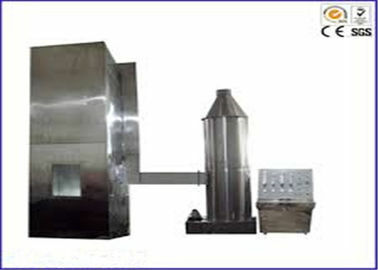 The air flow insidethe combustion furnace can be stably controlled at (5000 ± 500) L / min. 6. the burner airand gas flow rate must be supplemented temperature and pressure, while manytraditional system ignores the impact of gas and air can be done automaticallyby a computer program the compensation process. 5, the specimenmounts with electric crane lift. 6. The combustion air supply: Propane (or LPG).